Preventive maintenance plan has helped many businesses in saving hard earned Benjamins. This is because instead of waiting till the time the equipment and assets of the company breakdown and undergo repair, which would otherwise attract huge expenses, if the equipment and machinery is taken care of well in advance, the cost you have to incur in keeping the machinery running is much less. In this write-up, let us find out how cost effective the entire process is. There are many experts that are of the opinion that the so called “route-based activity” of the PM program is a much better option. This is because it is easier to perform and most importantly easier to administer and monitor the process. However, the operations have to be listed. The list that is drawn up can be in two forms, either in electronic format or in print format (paper). Essentially, the activities that are included in this list comprise inspections as well as lubrication. Despite the fact that this program can help you save so much, there are still many businesses that have not invested in this program as yet. There are still many CMMS driven programs that have not been effective in administering these route-based activities. More about these two points have been dealt with in the following paragraphs. So, read on. The so called cost-avoidance analysis tool is used to assess the ROI from the route based activities (which does not include lubrication). In the previous years, it was calculated that ROI was 5 to 10 times than what was invested in the initial years and gradually escalated. Also included was the price to run and keep the program active. Although, the ROI was calculated to be good enough to attain break even within a short time span, you will come across many such businesses that still does not have a PM program in place or do not understand the value of investing in the program. Another major aspect that has been observed in this field is that all computerized maintenance management systems have not been effectively implemented. As a result of which it fails to administer the route-based activities effectively. You will come across many CMMS software providers that will promise to deliver the best but in reality they oftentimes fail to keep their word. And there are many that operate on the basis of work orders and not through route based activities. Generally speaking, in the event they assign a work order number to an inspection, the same can be carried out in a route documented that consist 250 orders or more. However, this is not a practical process because in order to complete all the work orders, it will take a lot of time. There is another way in which you can make CMMS driven work orders to perform. You can assign a work order number to each route and register each inspection that is carried out as a sub order. But this process too has not been proved to be as effective as it claims. What to expect from route-based system? Changing between two types of inspection. For instance, from operator inspection to mechanical inspection and vice versa. What does it mean to have a good inspection program? If the preventive maintenance program is effectively in place, then you will find out that 100% of the programmed activities are carried out. 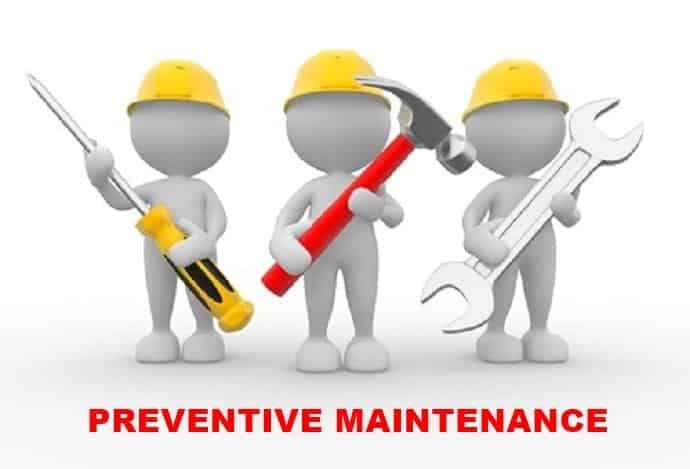 There will be no duplication of the activities related to preventive maintenance program as far as lubrication, operators, electrical, mechanical activities are concerned. Greater uptime and infrequent downtime means that your production team continues to perform seamlessly, which eventually means greater customer satisfaction. I am Fawad Malik founder of the nogentech.org also expert’s writer and blogger, as knowing about animation and having more than 4 years of the incident. Also, writing for androidguys, theultralinx, webdesign etc..